KINGS BAY, Ga. – As residents of Florence move about their day by means of means of day lives, members of the us Navy’s “Silent Service” work below the ocean’s waves, continuing a culture that just a small fraction of army members will ever know: strategic deterrence. 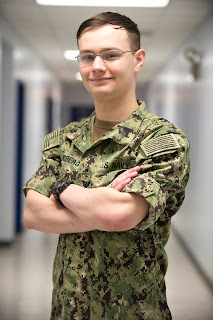 Petty Officer 2nd Class Matthew Nipper assigned to USS Alaska hails from Florence, Kentucky and is a 2014 graduate of Ryle High School who takes on the process to execute one in every of the Defense Department’s most vital challenge of strategic deterrence. Nipper is a machinist mate stationed on the Naval Submarine Base Kings Bay, homeport to the Ohio-class ballistic-missile and guided-missile submarines. KINGS BAY, Ga. – As residents of Chicago move about their each day lives, members of the us Navy’s “Silent Service” submarine pressure work underneath the ocean’s waves, continuing a culture that just a small fraction of army members will ever know: strategic deterrence. 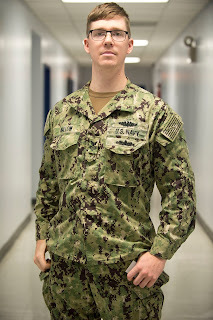 Petty Officer 2nd Class Barron Hooper assigned to USS Alaska hails from Chicago, Illinois, and is a 1995 graduate of Delasalle Institute who takes on the job to execute one in every of the Defense Department’s most very very extraordinary undertaking of strategic deterrence. 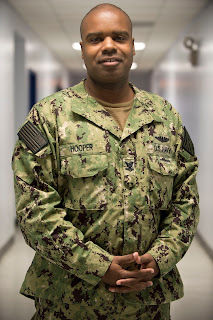 Hooper is an electronics technician stationed on the Naval Submarine Base Kings Bay, homeport to the Ohio-class ballistic-missile and guided-missile submarines. KINGS BAY, Ga. – As residents of Salisbury cross about their each day lives, members of the united states Navy’s “Silent Service” submarine drive work underneath the ocean’s waves, continuing a culture that just a small fraction of army members will ever know: strategic deterrence. Petty Officer 1st Class John Mallow assigned to Trident Training Facility hails from Salisbury, Pennsylvania, and is a 2009 graduate of Salisbury Catholic High School. Mallow is an electronics technician (submarine) stationed on the Naval Submarine Base Kings Bay, homeport to the Ohio-class ballistic-missile and guided-missile submarines. KINGS BAY, Ga. – As residents of St. Marys cross about their every day lives, members of the united states Navy’s “Silent Service” submarine drive work under the ocean’s waves, continuing a culture that just a small fraction of army members will ever know: strategic deterrence. Chief Petty Officer Francis Rhoad assigned to Trident Training Facility hails from St. Marys, Georgia, and is a 2001 graduate of Camden County High School. 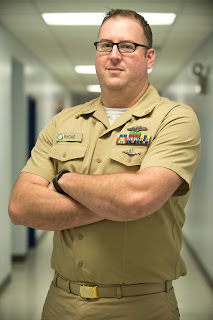 Rhoad is a sonar technician (submarine) stationed on the Naval Submarine Base Kings Bay, homeport to the Ohio-class ballistic-missile and guided-missile submarines. KINGS BAY, Ga. – As residents of Jacksonville move about their every day lives, members of the united states Navy’s “Silent Service” submarine drive work below the ocean’s waves, continuing a culture that just a small fraction of army members will ever know: strategic deterrence. Petty Officer 1st Class Joshua Roberts assigned to USS Georgia hails from Jacksonville, Florida, and is a 2006 graduate of Antioch High School who takes on the activity to execute considered one of the Defense Department’s most vital project of strategic deterrence. Roberts is an electrician technician (nuclear) stationed on the Naval Submarine Base Kings Bay, homeport to the Ohio-class ballistic-missile and guided-missile submarines. KINGS BAY, Ga. – As residents of Sterling Heights cross about their day by using means of day lives, members of the us Navy’s “Silent Service” work underneath the ocean’s waves, continuing a culture that just a small fraction of army members will ever know: strategic deterrence. 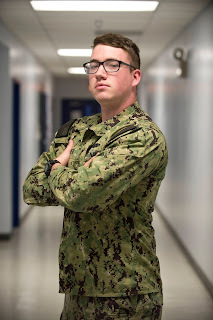 Petty Officer 2nd Class Donovan Lindberg assigned to USS Alaska hails from Sterling Heights, Michigan, and is a 2016 graduate of Sterling Heights High School takes on the activity to execute one in all the Defense Department’s most very exceptional challenge of strategic deterrence. Lindberg is a machinist’s mate (nuclear) stationed on the Naval Submarine Base Kings Bay, homeport to the Ohio-class ballistic-missile and guided-missile submarines. KINGS BAY, Ga. – As residents of Costa Mesa pass about their every day lives, members of the united states Navy’s “Silent Service” submarine drive work underneath the ocean’s waves, continuing a culture that just a small fraction of army members will ever know: strategic deterrence. Seaman Marcos Torres assigned to USS Florida hails from Costa Mesa, California, and is a 2016 graduate of Newport Harbor High School who takes on the job to execute certainly one of the Defense Department’s predominant challenge of strategic deterrence. Torres is a culinary professional stationed on the Naval Submarine Base Kings Bay, homeport to the Ohio-class ballistic-missile and guided-missile submarines.